Do Parallel Universe Really Exist? If you lived in the medieval ages and someone told you that there were not one but many universes, you would probably laugh it off, or maybe get the guy burnt on a stake. Till recently, the concept of parallel universes or multiverse was the stuff of science fiction. 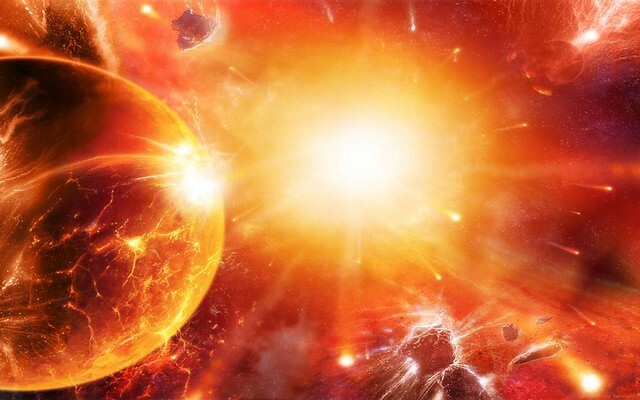 The universe was considered to be one big entity that contained everything that there is. The notion of more than one universe where our wars have a different result or the extinct species are still alive, was laughable and extremely mind-boggling. 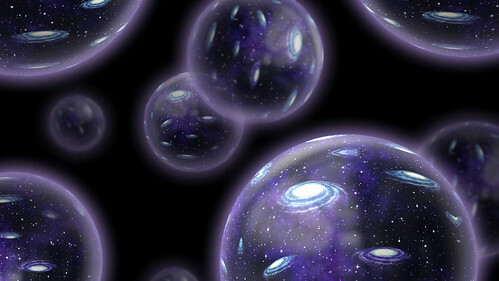 So do these parallel universes or space-time dimensions really exist? Could there not only be parallel Earths, but also parallel you and me? According to many physicists, there actually might be more than one universe and in these universes we could have a copy of ourselves. As research in the field continues to unveil new data, many credible proponents of this theory are trying to find ways to scientifically decode the data. There are a number of physics and mathematics theories to back the parallel universe theory. Here are some of the popular theories of parallel universes. In 1954, Hugh Everett a 27 year-old physicist published his Princeton Ph.D. dissertation in a leading physics journal where he introduced the concept of many-worlds interpretation (MWI), a radical theory of parallel universes. In this theory the entire universe is treated as a quantum-mechanical, an indeterministic microscopic world, where elementary particles are in constant erratic motion. Everett backed this theory with mathematical tools like interpretation. Instead of just saying that doing A will give you the conclusion B, Everett’s work showed why in the quantum world doing A would lead to B. Understanding It He came up with the universal wave function to describe how elementary particles move around. This function describes how elementary particles like an electron, can take up different positions. A position that is assumed by an electron is as real as the other position that it takes. When you measure it, it obviously takes one position, which in quantum mechanics is just one probability. This might vary as you measure it again in the same way. This idea is further supported by the Copenhagen interpretation of quantum mechanics which states that all quantum particles do not exist in one state or other, but rather in all of its possible states at once. This is known as superimposition. The only difference is our observation which allows the object to choose just one state. If we use this universal wave function to describe the universe, we could say that the universe is duplicated or rather split, with each possible outcome of the measurement. This theory thus, helps in describing the universe in terms of probabilities. What it Implies What it means is that there are different and equally real set of circumstances in separate universes. It is our choice that splits the universe. So, if you have a near fatal accident in your current universe, in another parallel universe you would probably be dead. The probabilities are endless. Although the proponents of this conjecture would like to believe that this theory prove the existence of parallel universe, many would disagree. Lack of any scientific and experimental evidence is a major reason why the existence of parallel universe is viewed with skepticism. However, with advances in string theory and sciences, multiverse proposals may be testable in the long run. Moreover, if they are tested, concepts like science fiction concepts like time travel can also be explored. For who good to live closing here, here in this space? But whose the Sun? How large a part that of the sense from the world?In the space time physics,the humanity may pass through the Sun, then if, if the man is out of this the wavelength from space,into a space with a so other wavelength, the one that is like that punctually for space his velocity, like that that carries over the man, on the Sun staying in the previous space, the Sun sends over weak signs from himself into this space, sends weak signs to this onto the space wavelength, because of this like this the man, that man staying in other space, who is not visible on the wavelength of our space, because of this the choice of a favourable coordinate dot his case, favouring space velocity in case of a difference, the man staying in that space,he follows from his situation this, he may pass through our Sun punctually, some as he follows from his situation,the man stays there, the space moving his consequence,the man may cross the Sun. But whose the Sun? How large a part that of the human sense from the world? Why people are locking people in this space? When from anywhere can be left this world, unknown spaces wait for this humanity,unknown new worlds wait for this humanity, the different worlds’ planets go away here, they go through us so even, some what we do not want to notice them,we want to carry nothing over there, we want to bring nothing over from there, so that sweet dreams, For Sleeping Beauty!